We are proud to launch another website design in a series of educational resources sites we are building for Macmillan Publishers. 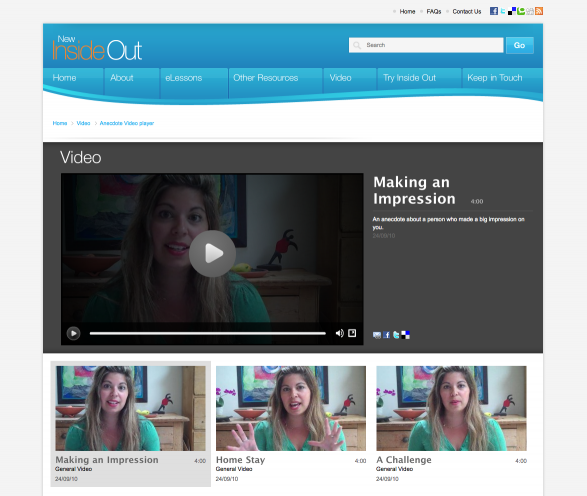 Inside out is a comprehensive and well established course for adult English Learners. The site is rich in resources, elessons, downloadable resources and archived information. 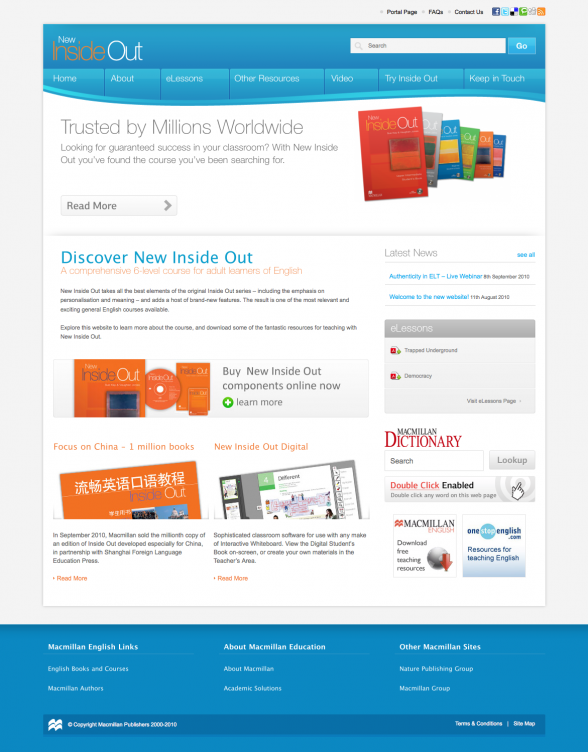 For this project we have developed a really great WordPress plug-in for video content delivery. The site has already seen a significant increase in site useage and dwell time, as well as referrals to the Macmillan English site which were defined as key conversion objectives for the new web design.